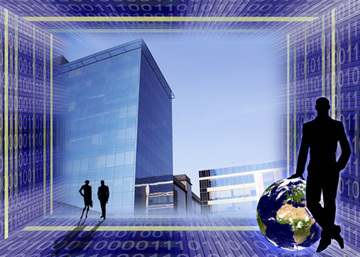 21st Century Business Responsibilities | Fourth Dimension Inc.
Alarm bells in 2008 have warned that twentieth century ideologies and institutions cannot meet twenty-first century demands for business responsibility. AS 2009 wound down, ‘financial meltdown’ and ‘economic recession’ became amongst the most frequently used words in business journals and business meetings. A businessman in Kolkata said he had attended no less than 10 seminars on these subjects in December! At the same time, other words which had been banished from the US (though not in Kolkata) began to reappear in that country. They were ‘socialism’ and even, God forbid, Karl Marx! In fact, booksellers in the US reported renewed demand for Das Kapital, Marx’s critique of capitalism. In India, the US and elsewhere, business leaders who until 2009 had tried to get government out of business are now urging governments to vigorously save businesses. They want governments to intervene in the markets but, at the same time to keep markets free. This raises questions in the common man’s mind about what these beneficiaries of free markets want markets to be free from. Freedom only from barriers to trade? Or also freedom from government regulations? Or even freedom from responsibility for their own actions? Meanwhile, US voters going into the elections in November were no longer prepared to grant business all these freedoms because trust in business institutions and their leaders had broken down. Like Arjun on the battlefield at Kurukshetra who asked Krishna a moral question, not advice on how to fight the battle, business leaders fighting the recession must also ask what they must change in their approach to business to regain society’s trust if they want freedoms in future. To begin with, they must dump the notion that radical capitalists in the US and UK have propagated, that the business of business must be only business. In that view, the only responsibility of business leaders is to maximise returns to investors — without doing anything illegal, of course, or at least not being punished for it. In fact, five years ago, The Economist declared that CSR (corporate social responsibility) was the most dangerous fad in management circles then. In this view, benefits of profitable businesses automatically trickle down and business leaders should not be distracted by trying to address these societal side-effects. Now CSR is back in fashion. It can be a dangerous fad, though not for the reasons The Economist feared. It is dangerous because it can lull business leaders into believing that CSR is the way to discharge their responsibilities to society. CSR is expenditure of some portion of a company’s profits on social causes. And philanthropy, its close cousin, is funded from accumulations into trusts of profits from business. CSR is an inadequate concept because it is limited to what companies do with a portion of the profits they make. But what the world needs is accountability from businesses for how they make their profits. Imagine a business that makes large profits from selling hard drugs, whose owners then set up trusts with some of these profits to build charitable hospitals. They may be admired for their philanthropy, but did they run a responsible business? This is an extreme example, but it serves to make the point that 21st century society expects businesses to be accountable for the effects their products and their operations have on the condition of communities and the environment. Therefore, CSR and philanthropy are an inadequate response to societal needs and concerns. Indeed, a cynical view is that CSR is often a glossy cover-up for the harm companies have done. CONFUCIUS said that the superior man knows what is right and the inferior man knows what sells. Politicians are criticised for pandering to popular demands, rather than standing up for what is right. However, politicians are expected to know what voters want and to deliver against their demands or they would not get elected. The proposition that GM and Chrysler should be required to produce more fuel efficient cars in future if they were given any financial assistance by government did not go down well in some business circles in the US. They said the government had no business to tell companies what to produce, which should be left entirely to the market. These people also suggest that the auto companies had done nothing wrong in producing fuel guzzling monsters because that is what their customers wanted. The media give the same reason when they are blamed for dumbing down the public discourse by sensationalising events and converting news to on-line entertainment. Publishers retort that to stay in business they have to produce what people want. Sell the people drugs (or cigarettes) that harm their health, or gas-guzzlers that damage the environment, or crass entertainment that numbs their minds? Where should the line be drawn and who are the superior leaders who will draw the line? Bruce Henderson, founder of Boston Consulting Group, said: ‘Give me a place to stand, and a lever long enough, and I will change the world.’ With the retreat of governments along with the rise of free market capitalism, and the ascendancy of business corporations around the world, leaders of large corporations have been given global pedestals to stand on. Their reach is vast, and we are often reminded that some corporations are even larger than many countries. By what measures then should we gauge whether these leaders are changing the world through the performance of the institutions they head? By their increasing revenues as they give more customers what these customers want; and by the large profits they make for their investors; and by the CSR and philanthropy they do with some of the profits they make? These are conventional measures for high performing companies, whether in financial services, manufacturing, or even in management consulting, but they are inadequate. They do not tell us whether good companies by these measures are great companies. Great companies, in whatever field they are, are those that take the initiative to develop the new products and services (and to create demand for them) that will change the paradigm of the economy and society to make it more inclusive and sustainable. The world needs business leaders who use their public standing and the levers in their hands to improve the world for everyone, through new concepts of business enterprises based on the principle of trusteeship, and with new practices of corporate governance founded on accountability to society and not merely customers and shareholders. * Article first published in the Economic Times.